What better way to experience the gorgeous landscape of the Smoky Mountains than with the person you love most? Whether you’re just getting to know someone special or are planning to celebrate a decades-long marriage, the Smoky Mountains is the perfect place to stir up romance. You can spend days in the Gatlinburg and Pigeon Forge area discovering local treasures, and relaxing in your luxury cabin. Mysterious. Colorful. Mesmerizing. Unforgettable. All these and more have been used to describe the Smoky Mountain experience. This area stands out for its mix of warm Southern hospitality, majestic forests, and spectacular mountain views. When is the best season to visit? They all have their own unique charm. Thanks to its southern location, spring can come quite early to the Smokies. Depending on when you visit, you may see blooming dogwood dotting the forest and wild-growing rhododendrons climbing the hillsides in an explosion of color. This lush scenery makes a perfect backdrop for a spring wedding. However, if you’re looking for a May or June date, book early. Spots fill quickly for these months. This is a great time for bird-watching couples to visit as the Smoky Mountains fills with migrating species. Adventurous pairs can also get to know each other while working up a sweat on a fun day hike along the numerous trails in the area. Summer is a nice time to beat the Southern heat and enjoy the cool, crisp air of the higher elevations. There are countless outdoor activities to keep active couples connected to nature. Families with kids can also find many opportunities to explore the great outdoors. Consider spending an easy day driving to the romantic waterfalls dotting the area. If you’re visiting at the beginning of June, plan early and apply to the Great Smoky Mountains National Park free lottery for one of limited number of passes to view the synchronous fireflies. Uniquely in North America, these fireflies flash in tune with each other, creating an amazing natural light show. Check our article on the famous Synchronous Fireflies for the full story. The show-stopping palette of fall foliage in the Smoky Mountains attracts visitors from around the country and even the world. Visit in mid-October to catch the colors at their peak – although that peak can be a moving target. As autumn progresses towards winter, colorful foliage lingers but the crowds thin out. If you’re interested in an amazing, rustic-inspired wedding, this is the perfect time to plan it. At Cabins of the Smoky Mountains, we have four different packages for Smoky Mountain weddings to suit every taste and party size. December turns the mountains into a glittering winter wonderland where you can make fantastic memories with your loved ones and your family. 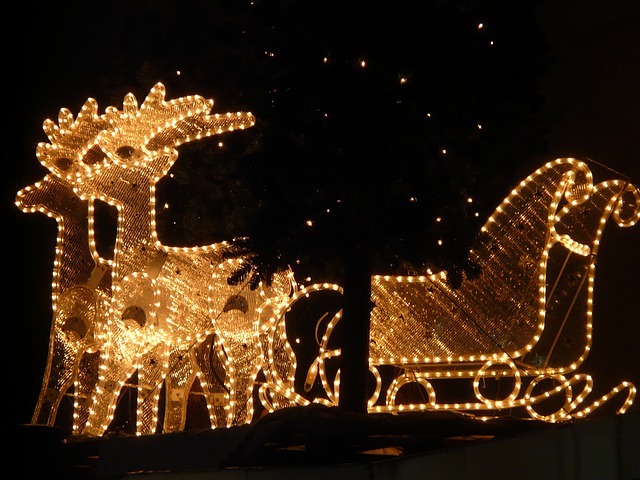 Gatlinburg and Pigeon Forge both have yearly winter light displays that ring in the holiday season and offer something for people of all ages to enjoy. And if a reunion is in the cards, why not book several luxury cabins for you and your extended family to celebrate a big event like your anniversary or vow renewal? During the frosty Smoky Mountain evenings, warm up and relax by the fireplace or enjoy one of our wide range of spa services offered right in the comfort of your own room. Your family pet is welcome to join you during this winter getaway. Click here to find out all about our pet policies and see a list of pet friendly cabins in Pigeon Forge and Gatlinburg. No matter how long you and your partner have known each other, you can deepen your romance with an unforgettable stay with us in the Smoky Mountains. Our luxury cabins, nestled in the foothills of the beautiful Smoky Mountains, have inspired generations of lovers. We offer many Gatlinburg honeymoon cabins as well as several romantic getaway packages ranging from 3 to 6 nights. 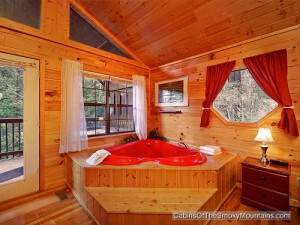 See our Gatlinburg cabin rentals pages and check out the same for Pigeon Forge cabins – and here are our Wears Valley cabins. TIP: You can always call us at 855-91-SMOKY day or night to get the answers to questions or the latest news of Specials and discounts, and of course to book a cabin! I started with Cabins of the Smoky Mountains at Gatlinburg Falls in early 2014. I love to interact with our guests and help them to plan their vacations. Each guest has a different story, and they come from all over the world. I was raised in Ohio, but moved to Tennessee as a teenager and finished high school in Pigeon Forge. Cades Cove is one of the most beautiful places, by far my favorite place in this area. I try to take time out to visit it as often as possible, especially in the Fall.